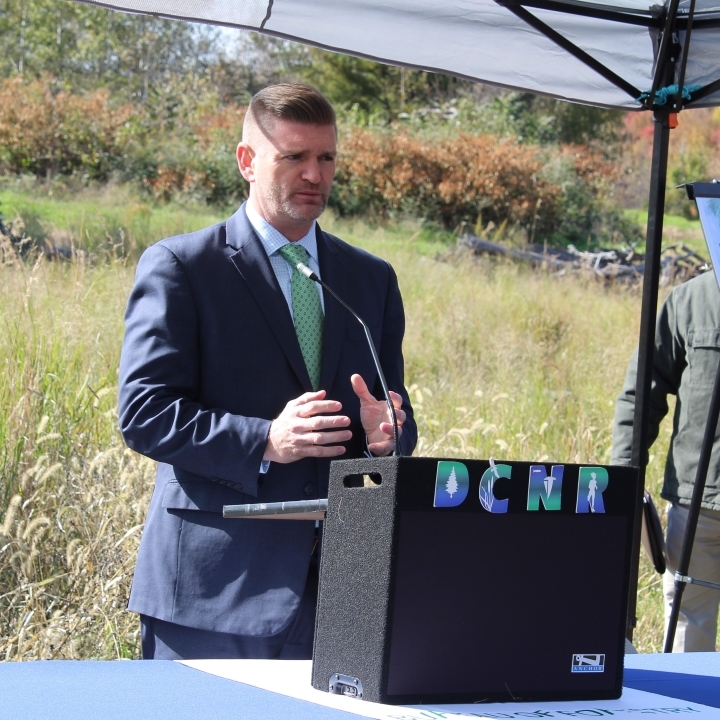 The sun was shining as we marked the transfer of over 1,100 acres of Earth Conservancy lands into the Pinchot State Forest system. 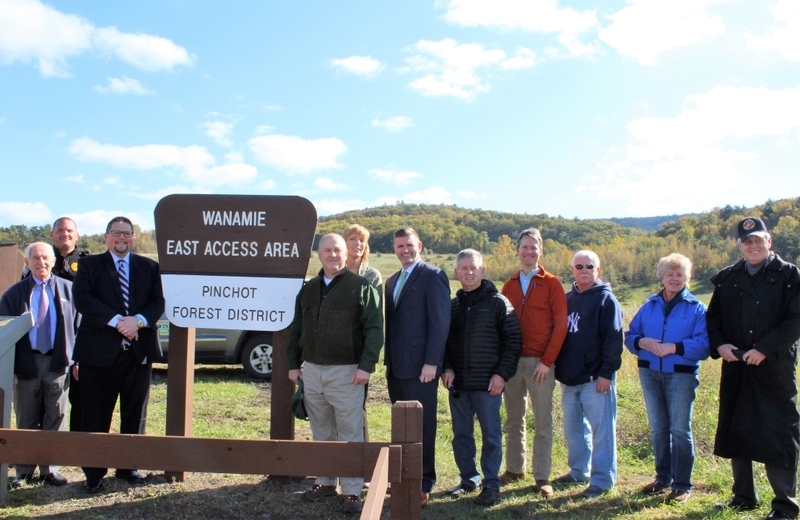 Located in Newport Township, the area is home to the Penobscot Ridge Mountain Biking Trail and offers excellent recreational opportunities to the public. 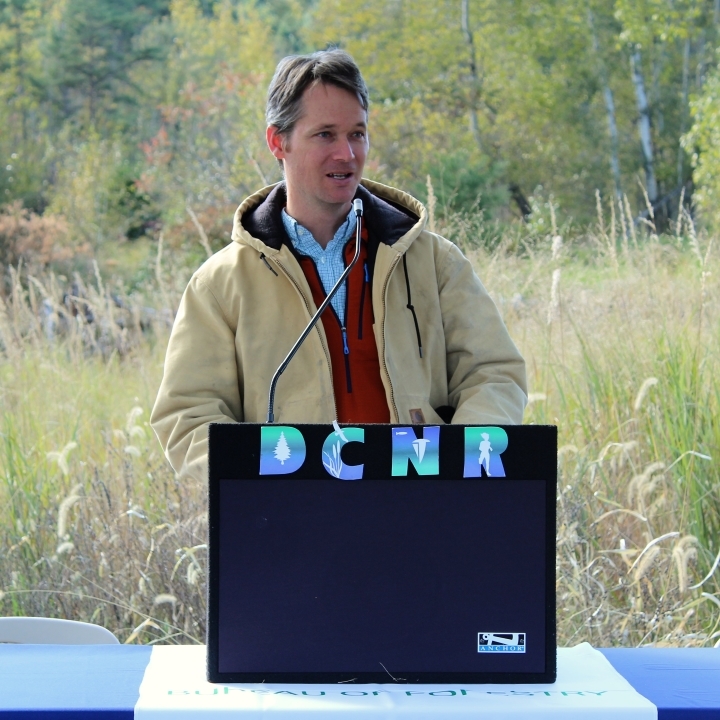 Moreover, it preserves habitat, protects wildlife, and boosts the region’s environmental health. 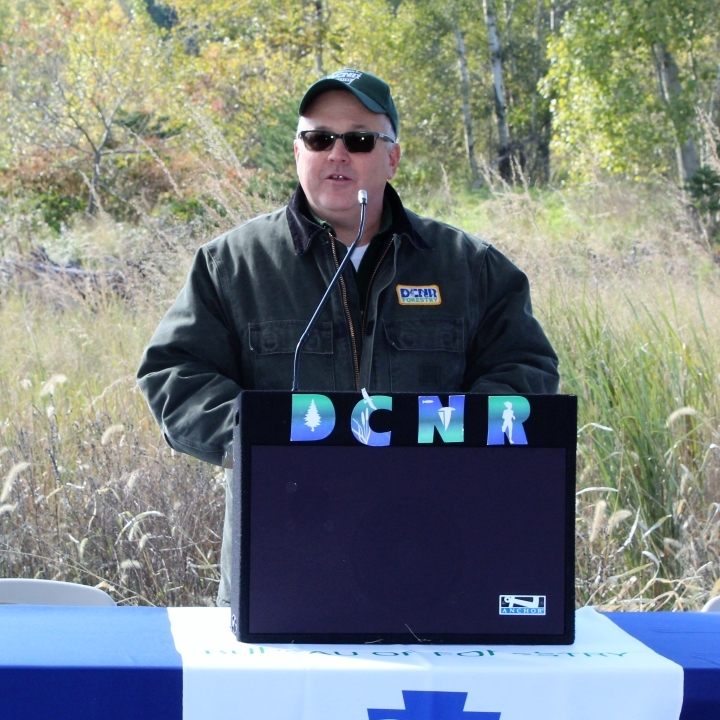 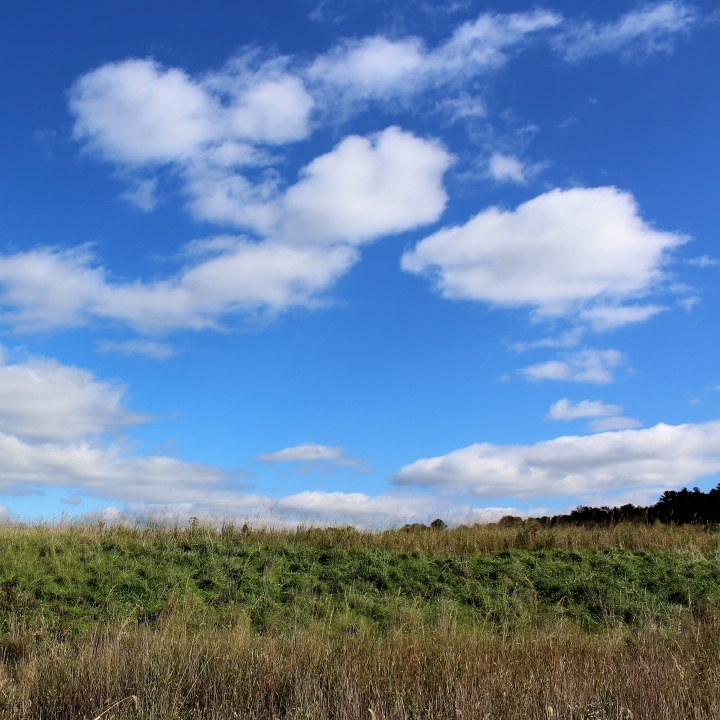 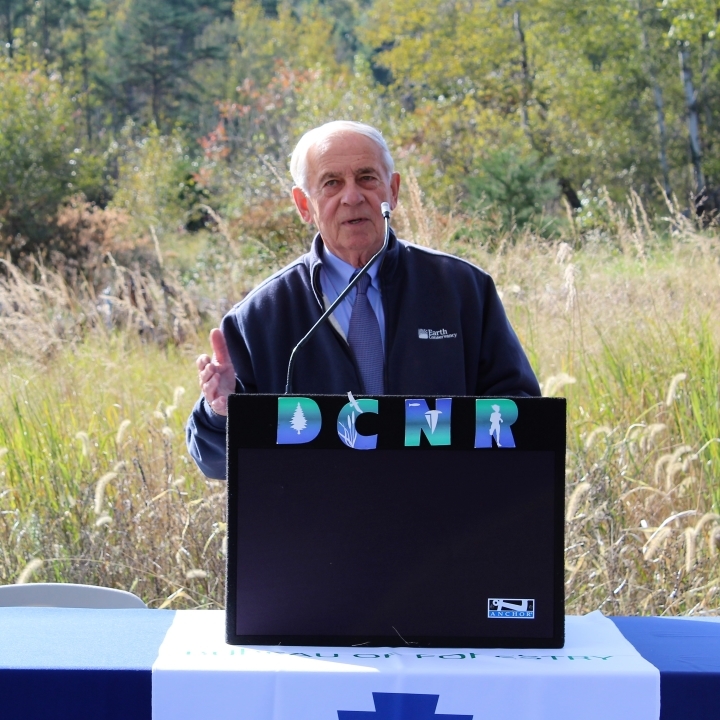 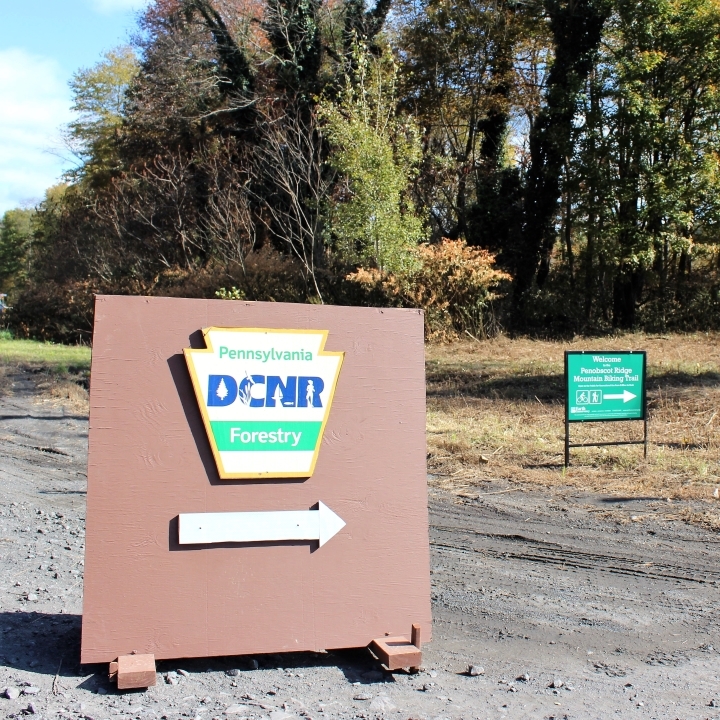 We are grateful for the community partnerships that made this possible, including North Branch Land Trust and the Pennsylvania Department of Conservation and Natural Resources. 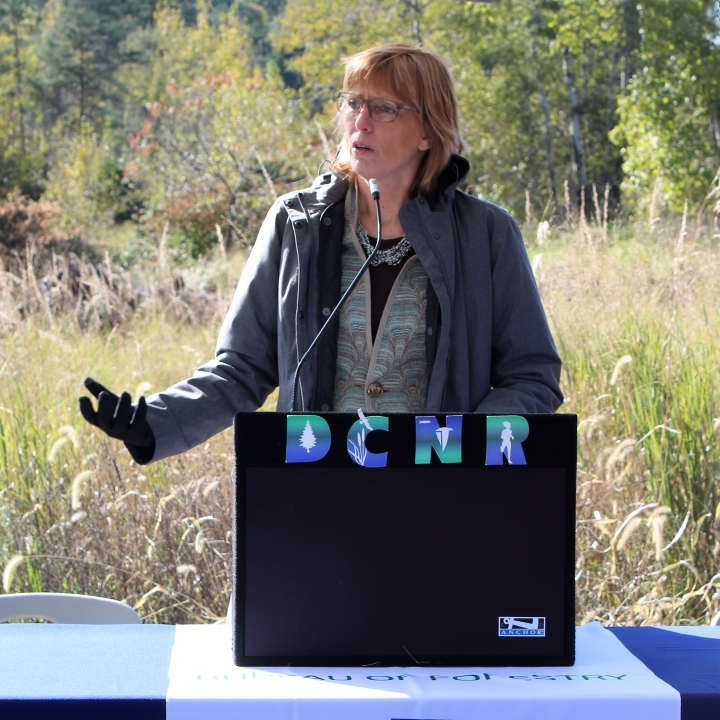 On hand for the event was the Secretary of DCNR, Cindy Adams Dunn, who spoke about the wealth of natural resources in the Wyoming Valley. 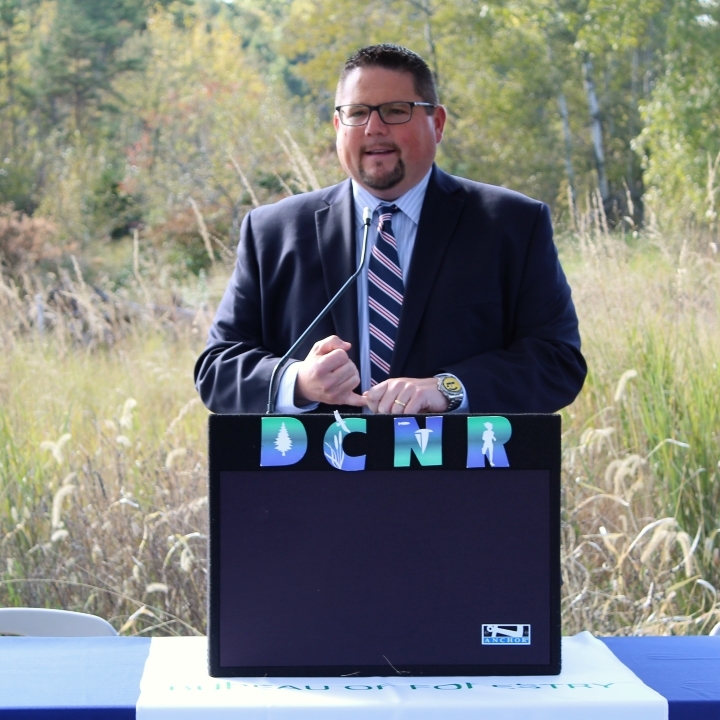 Other speakers included Nick Lylo, Pinchot District Forester; Mike Dziak, Earth Conservancy President & CEO; Rylan Coker, NBLT Land Protection Specialist; Rep. Gerald Mullery (D-119); and Senator John Yudichak (D-14).